In 2017, the United States Greco-Roman Seniors left the Thor Masters Invitational with two golds and one bronze. This year, they will be leaving with the same number of medals, just not the same colors. 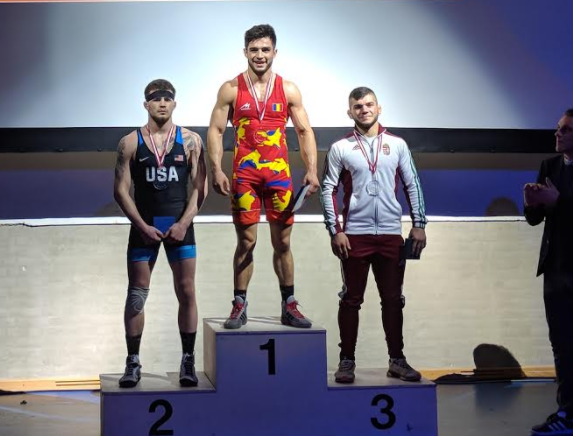 Randon Miranda (NYAC/OTS) wasn’t quite able to sustain the momentum he had built up over the weekend, falling in the 55-kilogram final to two-time Maccabi Games champ Ilya Tsaruyk (ISR) 7-0. 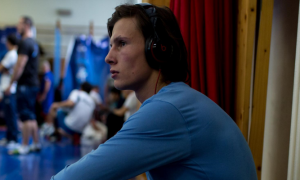 2016 Rio Olympian Jesse Thielke (63 kg, NYAC) delivered the sparks that made him a national star in his finals bout with Mihai Mihut but ultimately couldn’t crack the Romanian’s defenses in the latter stages of the proceedings. 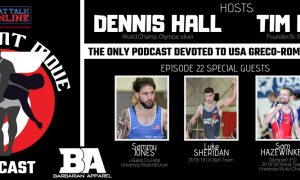 Even with that, two silver medals at a packed event like Thor Masters immediately raises both Miranda’s and Thielke’s profiles as the season’s crunch time begins to approach with spring right around the corner. 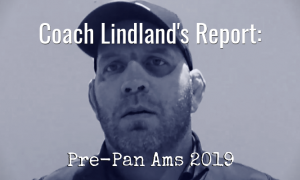 Miranda might have been the quicker of the two during his match with Tsaruyk, but it was the Israeli athlete’s experience and active pressure that told the story. Tsaruyk was constantly digging inside, though Miranda was right there with him at the outset. An early exchange saw Miranda wind up with a front headlock that he used to create a lane to the body, but he thought better of it. Tsaruyk caused a standing scramble near the edge shortly after and ambled behind Miranda for the first points of the match. A passivity point came later and in the ensuing par terre, Miranda defended well and seemed to carry some confidence as the break entered into view. Tsaruyk earned his next two points in a somewhat questionable fashion. Miranda had whiffed on an arm throw and Tsaruyk covered. There didn’t appear to be enough of a counter engagement to warrant the call, so instead of a slip, it was a takedown and a 5-0 advantage for Tsaruyk. 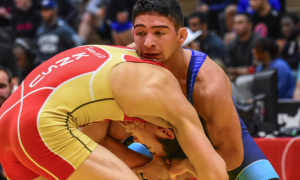 He added a takedown towards the end of the match to widen the gap to 7-0. Miranda still remained dug in, he just couldn’t capitalize on anything worthwhile. 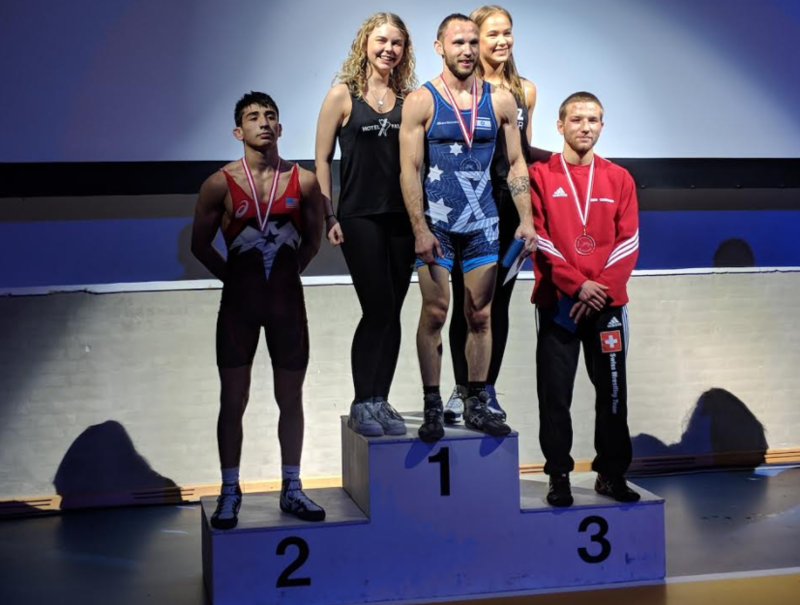 Thor Masters was Miranda’s fifth straight overseas final going back to the Klippan Cup in late-October and his second silver. Thielke’s battle with Mihut kicked off in a frenzy but took a decidedly more tempered tone as the match unfolded. Mihut opened up the scoring with an arm-throw-correct-throw — and then after a restart — walloped a headlock at the whistle. But Thielke rolled through to come out on top and responded with back-to-back gutwrenches. The score, breathlessly, was 6-6, although Mihut owned criteria on the strength of his headlock. The blustery first period gave way to a more even-keeled energy in the second. Neither wrestler was expressing the same level of dynamism they had earlier in the contest, but that didn’t mean Thielke wasn’t making attempts. He dipped down sharply on a few occasions for looks at the body, Mihut just didn’t present enough of a lane to penetrate. Despite Thielke’s workrate, he was hit for passivity, making the score 7-6. 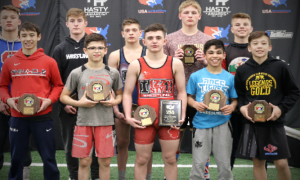 A couple of late Thielke tries fell short and Mihut was able to hold on to claim the 63-kilogram Thor Masters crown. 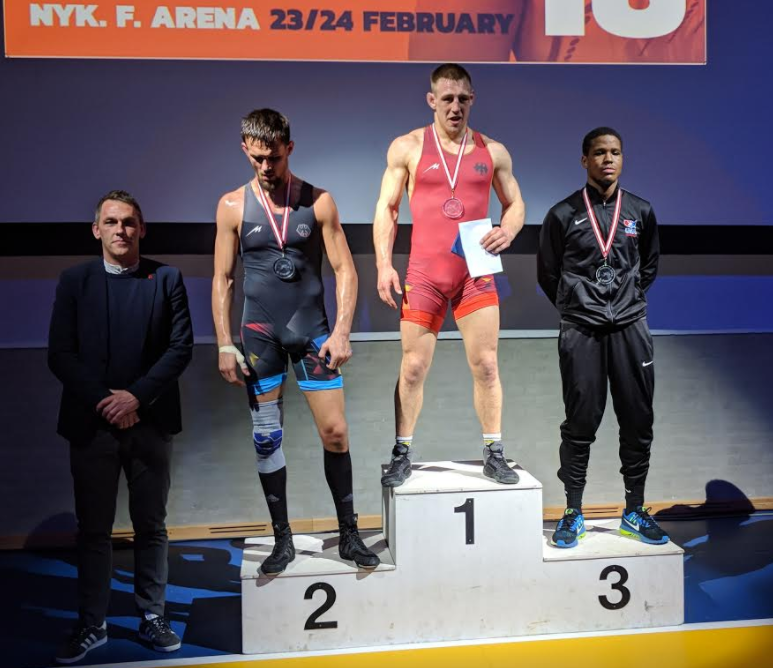 Bronze medal matches were held prior to the finals, which was when one Mr. RaVaughn Perkins (72 kg, NYAC) did his best work. Following a frustrating loss in the semis to Timo Badusch (GER), the two-time Trials champ rebounded with a dominant performance over Toni Ojala. 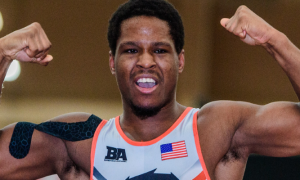 Perkins was up 5-0 with just over two minutes left in the bout when he clamped around for a bodylock, pulled it up, and planted Ojala on his back for the fall. 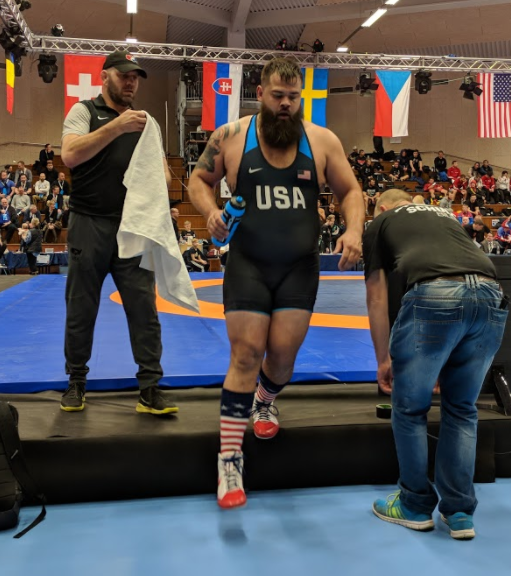 Robby Smith (130 kg, NYAC) entered the fold as a returning Thor Masters champ and for most of the weekend, he seemed on pace to make another run at the title. Unfortunately, that would not be the case. He did get off to a strong start thanks to a workmanlike 3-2 decision over Konsta Mäenpää (FIN), with two of Smith’s points coming via arm throw. The issues for Smith cropped up in his next two bouts. The native Californian did his best to weave into favorable tie-ups against 2017 U23 World bronze medalist Jello Krahmer (GER) but found it to be an uphill climb throughout, as Krahmer inexplicably received passive points in both the first and second periods to escape with the 2-0 victory. Smith, who consistently tried hammering his way into position and never wilted, did not so much as move the officials to call a single passive warning on Krahmer during their match. Next up was two-time Olympian Alin Alexuc-Ciurariu (ROU), one of the weight class favorites. Alexuc-Ciurariu countered a Smith attempt at the body and covered for a 2-0 lead in the first. The Romanian received a passivity point in the second to increase his margin. Smith poured on the attempts from then on to no avail, sending him out of the tournament. Two-time Olympian Ben Provisor (87 kg, NLWC) was moving Julius Matuzevicius (LTU) around enough on occasion, he just couldn’t convert to scores. Matuzevicius received both passivity points and used his par terre chance in the second period to turn Provisor once for a 4-0 lead he would not relinquish. 2017 U23 European Championships gold medalist Zakarias Berg (SWE) defeated Provisor by tech in the latter’s second bout of the day. 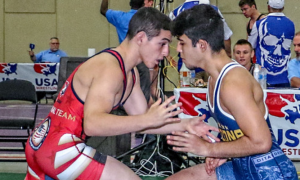 Both Alec Ortiz (77 kg, Minnesota Storm) and Jesse Porter (77 kg, NYAC/OTS) had their moments today. Ortiz defeated Fabio Dietsche (SUI) 7-3 thanks to a front headlock that he used to gain control before hitting a locktight high gutwrench. Florian Neumaier (GER) ended Ortiz’s bid for medal with an 8-0 tech after that. As for Porter, he threw a beating on Oldrich Varga (CZE) that included a blazing finish to a side lift. 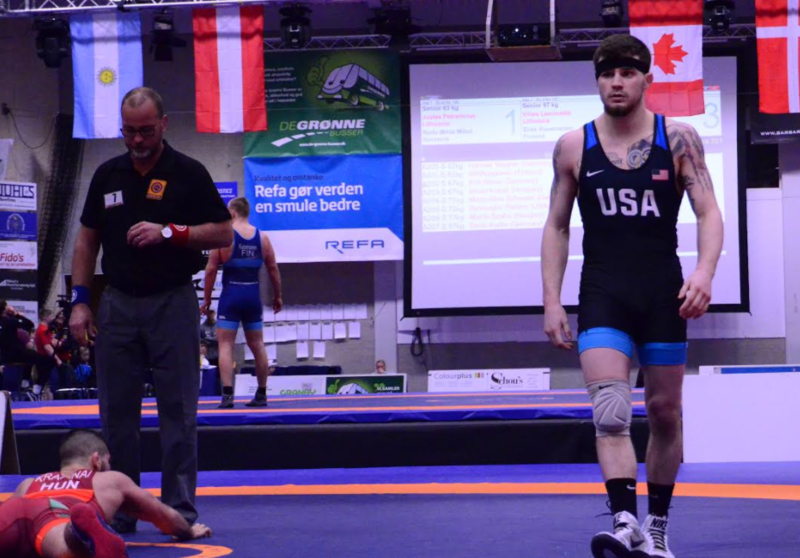 Two-time Junior World medalist and eventual bronze Dominik Etlinger (CRO) derailed Porter’s chances of making the podium with a 6-1 decision in the following round. The US finishes Thor Masters with 20 overall wins, counting those earned against other Americans. 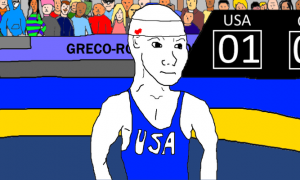 Of those 20 wins, 10 came via tech fall. In the team standings, the US came in fifth with eight points. Germany dominated the field with 35 points (thanks in large part to the country’s nine finalists and four champs); Hungary finished second with 11 points, and Romania and Finland tied for third with nine points.